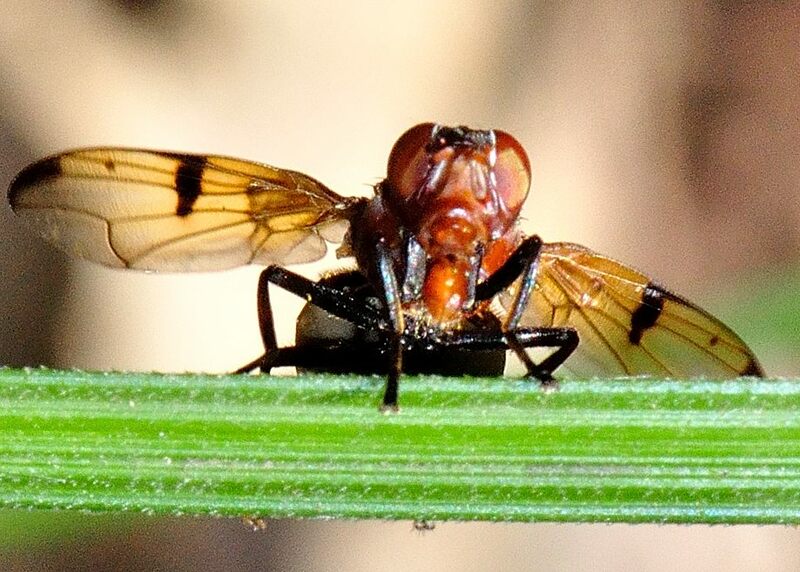 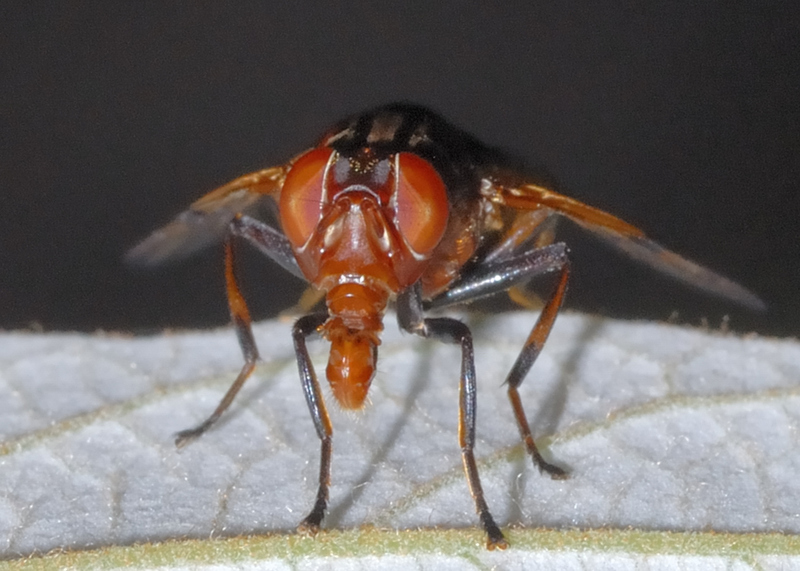 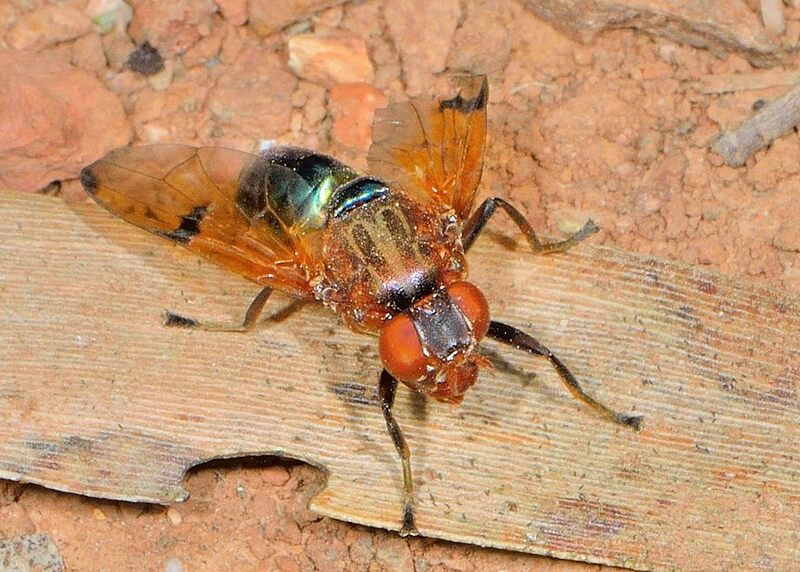 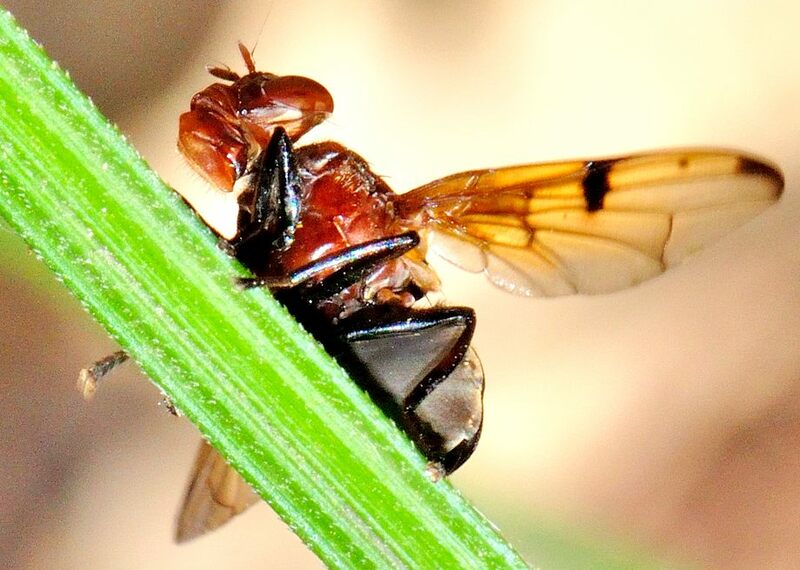 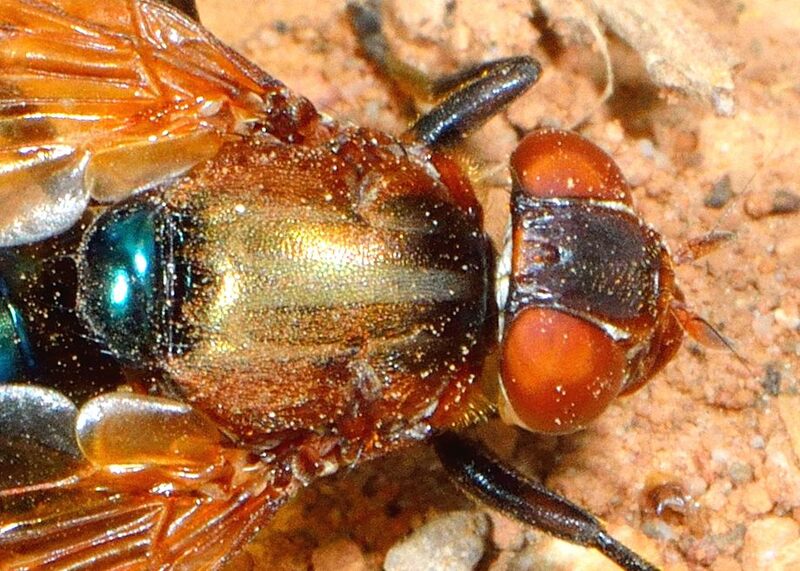 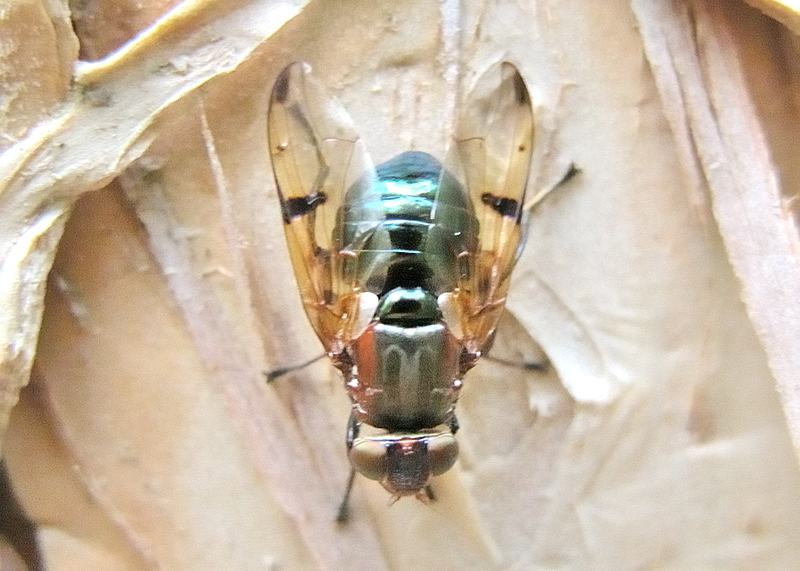 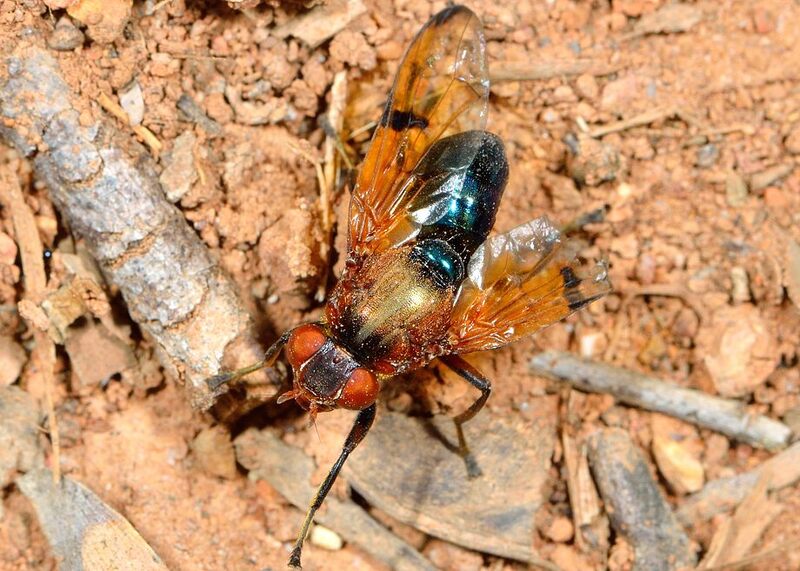 This page contains pictures and information about Orange-green Signal Flies that we found in the Brisbane area, Queensland, Australia. We sometimes found many of them in Yugarapul Park along Bulimba. 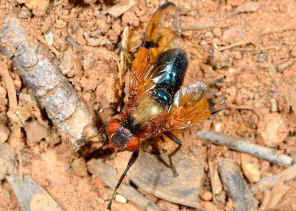 Also they were found in Karawatha Forest. 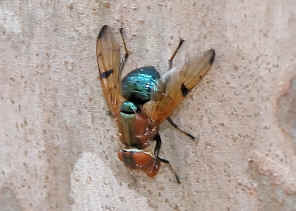 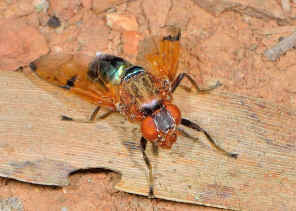 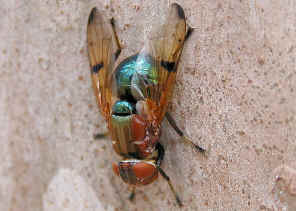 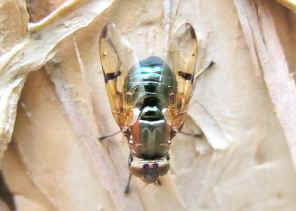 Head and thorax are orange colour with abdomen in metallic green. There are three longitudinal light brown stripes on mesoscutum. 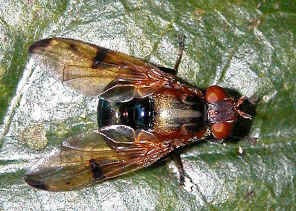 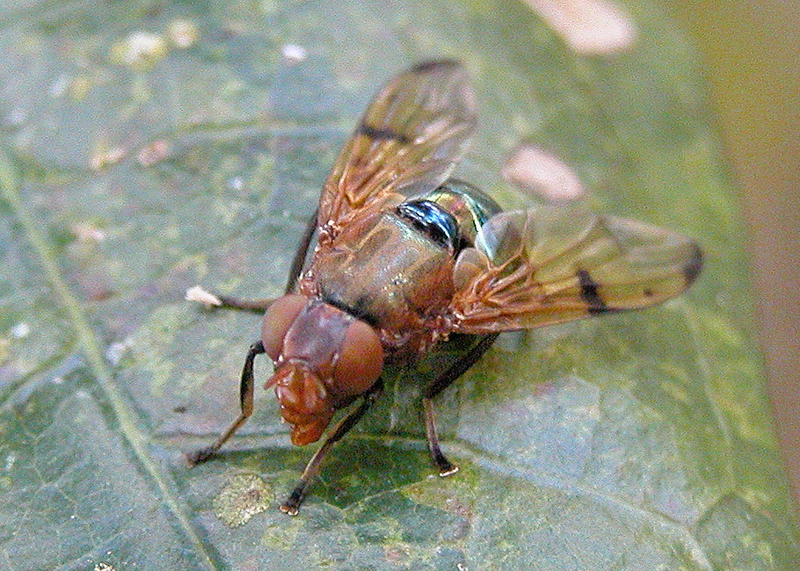 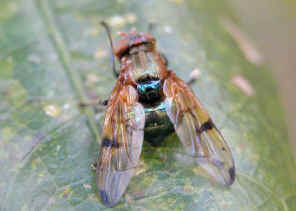 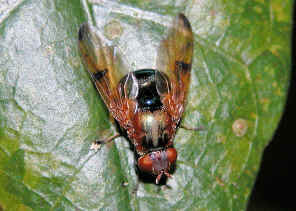 Scutellum is dark metallic green in colour. 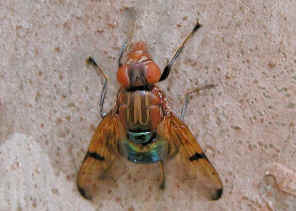 Wings are patterned with black spots, leading edge and wing base are orange. Legs are black in colour. 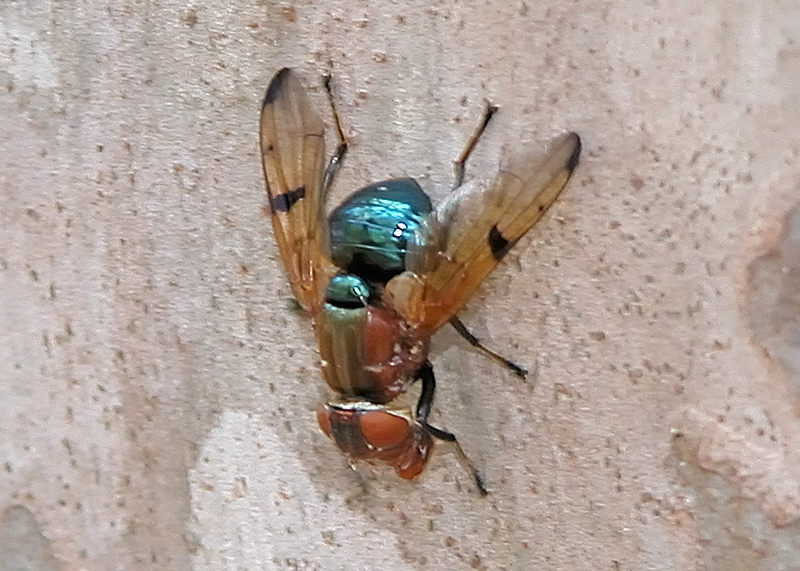 Signal Flies are usually found on tree trunks where may be a place for courtship. Sometimes a small group of them can be found at one point. 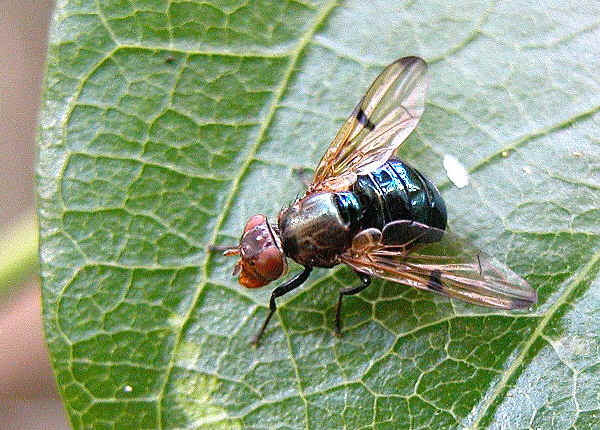 While walking on those surface, Signal Flies exhibit a characteristic manner of movement, something like dancing in our human eyes. 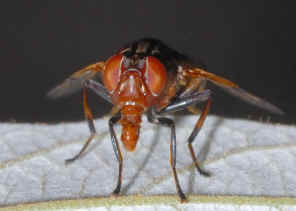 Those movements include rowing or extend of wings, waving of front pair of legs, move forwards and backwards, extend and raise of proboscis. 3. 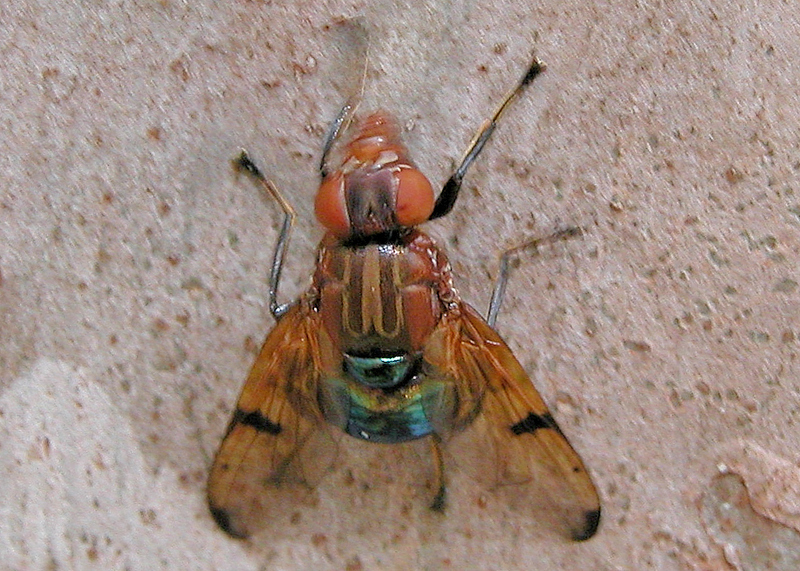 The Australian Platystomatidae (Diptera, Schizophora) with a revision of five genera - McAlpine, D.K., 1972, The Australian Museum, p63.